Located off Lewisburg Pike, the Stream Valley Subdivision is a single-family home development in Franklin TN (Williamson County). Popular streets in Stream Valley Subdivision include Brookpark Avenue, Canyon Echo Drive, Coffenbury Court, Cooper Ledge Circle, Chrystal Falls Circle, Stream Valley Boulevard and Streamside Lane. 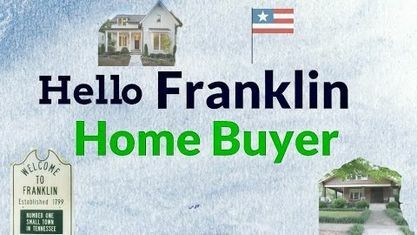 Other popular Franklin Subdivisions near Stream Valley Subdivision include Goose Creek Estates Subdivision, Green Valley Subdivision, Berry Farms Subdivision, Ellington Park Subdivision, Summer Hill Subdivision, and Walnut Winds Subdivision. View our selection of available properties in the Stream Valley Subdivision area. Get to know Stream Valley Subdivision better with our featured images and videos.